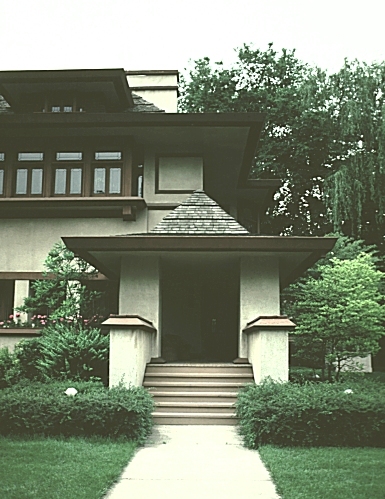 Images of E. R. Hills House, 1902, by Frank Lloyd Wright at Oak Park (Chicago). Digital Imaging Project: Art historical images of European and North American architecture and sculpture from classical Greek to Post-modern. Scanned from slides taken on site by Mary Ann Sullivan, Bluffton College. 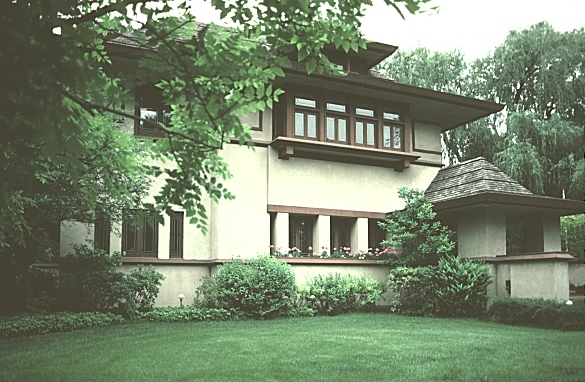 This house is a partial reconstruction (1976-77) of the original building by Wright. 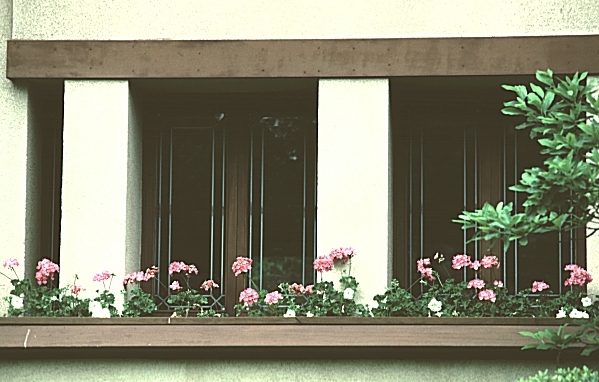 In 1975 the upper story was burned. 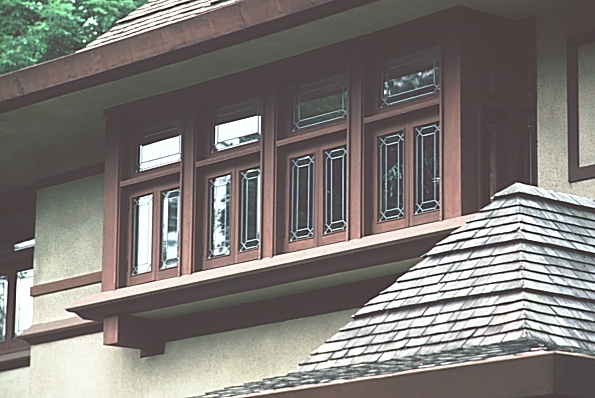 It is stucco with wood trim. 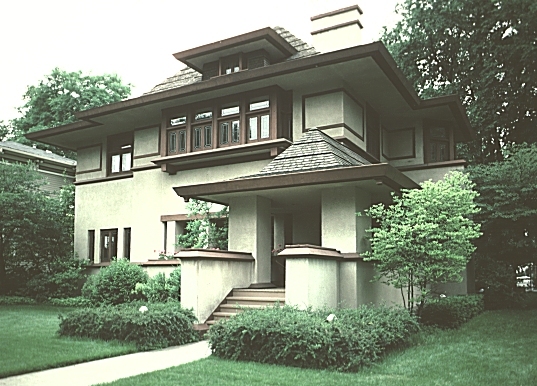 Other houses on this site by Wright in Oak Park include: Peter A. Beachy House, Arthur Heurtley House, Nathan G. Moore House and Stable, Frank Thomas House, and the Wright House and Studio.